“Leadership is your contribution and your service to your company. It’s your survival, and that of those you lead. It will be your legacy, and your company’s legacy. It is what makes you great vs. what lets you fail or, worse, be average“. 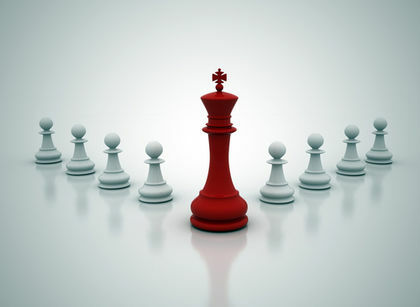 Like many roles in life and business, being a true leader is a calling. Either you’re a great one, or you’re not. Think of those who have changed the expected, like Picasso, Plato, Thelma and Louise, Socrates and Tom Brady. Those are the ones who blaze new trails without fear, without worry and without a second thought to what other people think. They have a singular vision and a singular course. They dare to challenge ideas with a nimble flick of the throttle, changing directions as easily as batting an eye. They see things others do not. They take risks. They are entrepreneurs. Just like you. And if you doubt that fact, sit back and have a read. Leadership is your contribution and your service to your company. It’s your survival, and that of those you lead. It will be your legacy, and your company’s legacy. It is what makes you great vs. what lets you fail or, worse, be average. The point is: Leadership is never about you—it’s about them. And how you lead says a lot about your company and a lot about you. And if you’re not good at it … damn, that’s bad. Those who are true leaders will lead their teams to victory and inspire them to be great. I’ve worked with that type, and I’ve worked with leaders who are managers and mostly check timecards. The difference is epic. Leadership is not about bossing or being in control. Nope. It is that belief that you and your team are destined for something special. It is your ability to inspire excellence in others. Any organization, company, product, magazine or brand will always, always, every single time, take on the essence of its leader. If you lead with courage, clarity and fearlessness, then that’s what your brand will stand for. The same goes if you are a careless, hopeless, entitled brat. I’ve succeeded and I’ve failed as a leader. And the lesson is this: When you lead with purpose and vision, you will succeed. When you lead out of fear, you will fail. In the March issue of the magazine, we dive into the specifics of leadership today. In addition to examining the generational issues arising as Millennials take over the work force, we look at a rarely discussed personality type—the ambivert—whose flexibility, balance and collaborative tendencies may make for a superior leader. So guide well, my friends, because that is your job. It is what separates you from your competitor. At the end of the day, it will determine your fate and that of your company; it will inspire you to fight or it will condemn you to failure. Simply put: Leading is the most important responsibility you will ever have as an entrepreneur.